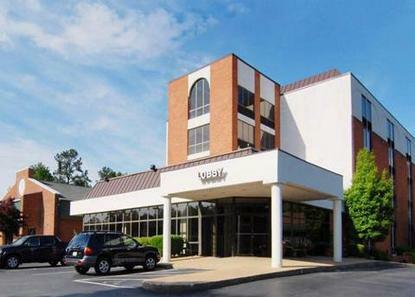 Hampton Inn And Suites Williamsburg Richmond Rd. The hotel is 2 miles to the Historic Triangle: Colonial Williamsburg, Jamestown and Yorktown. 5 miles to the theme parks Busch Gardens and Water Country. Less then 1 mile to famous Prime Outlets shopping center featuring over 80 name brand outlets. Two restaurants on premises. Free deluxe continental breakfast. Spacious indoor heated pool and sun deck. Complimentary newspaper. Internet access in all rooms. Valet laundry. FEMA approved.